I've been making silk t-shirts lately after I was introduced to silk knit sometime last year. If you don't know, silk makes a wonderful and sturdy knit that withstands regular old washing and drying, perfect for glorious t-shirts. You may have noticed that I pretty much just wear t's and jeans most of the time. I will occasionally throw in a button down shirt but not very often. Mostly because I haven't had time to sew them lately and I'm a bit bored with my current selection. Silk knits very in price considerably from around $12 way up to over $80. 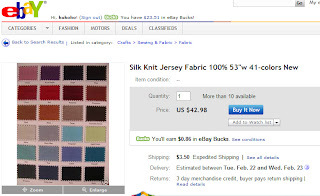 The standard set of colors can be had from many sites including ebay. You'll recognize the color chart as you shop around and really you'll find there's very little choice when it comes to sources. 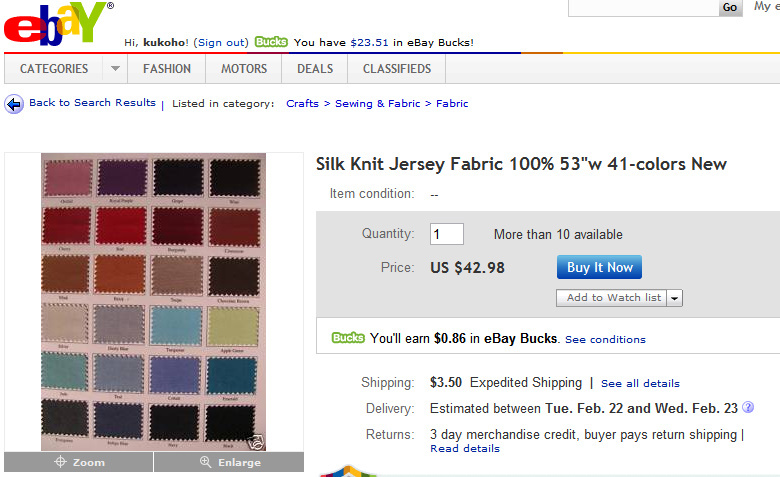 What I've found so far is that generally speaking the higher the price the heavier the silk knit. Obviously if you see the same color chart like the one on the right but the prices very likely it's the same fabric being sold for different prices. 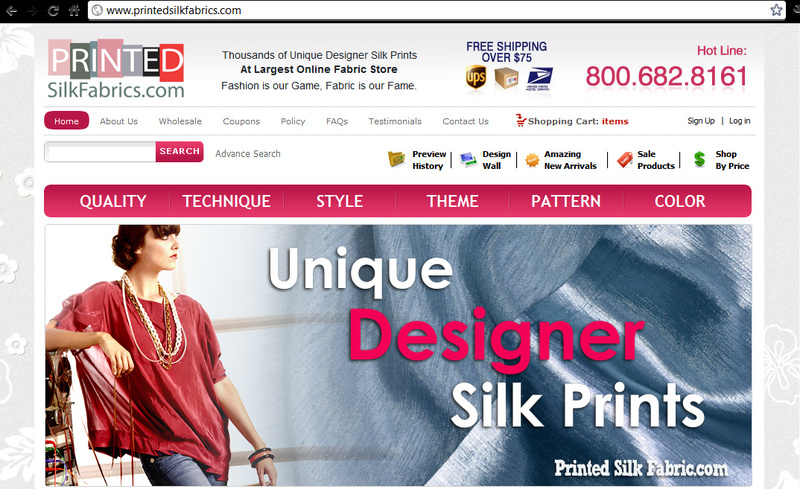 One of my newest and relatively undiscovered sources for silk knits is www.PrintedSilkFabrics.com. The good: The site is flashy, well done, and easy to order from. The design wall doesn't work when trying to add things to your cart so watch for that. 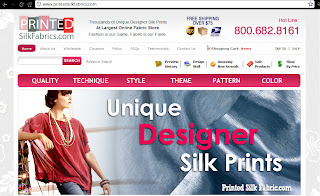 If you google silk knits you might not find this site, I'm unsure how I found them, they are really well hidden which is not good for online commerce! They have hundreds of knits to pick from and the prices are the best I've found online with free shipping over $75. Now the bad: On my first order my fabrics were cut really sloppily, all crooked and uneven. Not something I expected and caused me to not have enough fabric for a few of the shirts. My second order took forever to be shipped, why? because they never filled it. Finally I emailed and they eventually got my order out but it took around three weeks.. Also not good. I am happy to report that the cuts were very even and even a bit on the generous side which was appreciated after the first set were some were even a bit short. So order with a grain of salt. The website give the appearance of a highly polished and professional outfit however I have not found that to be the case so far. For the price I'll continue to order and keep my fingers crossed. Silk is not guilt free! Lots of moths are killed in the making of silk, often being produced using child and slave labor. While it's not as awful on the environment as rayon, see posting, it does carry with it a whole different type of blood, sweat, tears, and... death? Anyway, obviously I'm still wearing it but I do so without choosing to be naive to where it comes from. There is an "cleaner" option I found but it'll cost you. 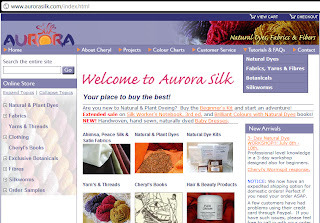 www.aurorasilk.com sells what she calls Peace Silk. This is silk which is spun from the cocoon after the moth has emerged. It is grown and processed without the human rights issues that most other silks carry. Check out the site for more information. I've never done any business with them but the entire site is a very interesting read. 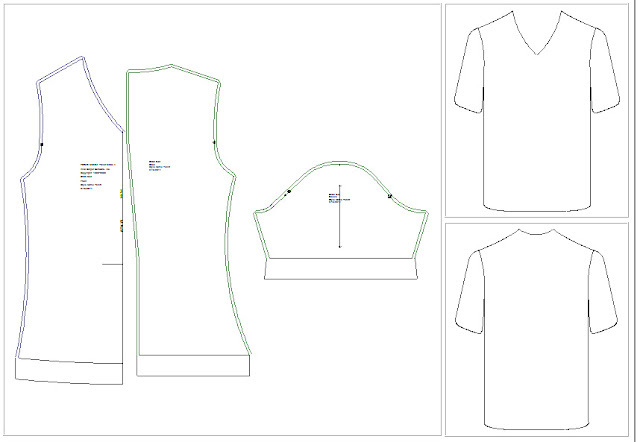 My current t-shirt pattern is a bit different than the one I was using previously. I used the jacket pattern from Wild Ginger and simply modified it to include a V neck and no front closure. 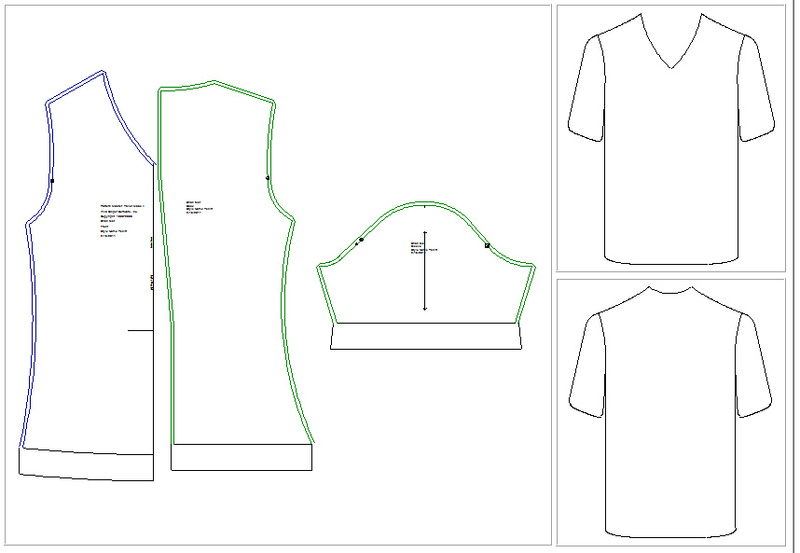 I like this pattern because it has a lot of shaping in the seams which allow a form fitting shirt yet not be skin tight. You would almost never see this in RTW because of the highly personalized fit. Notice there is even a seam down the back of the shirt which is the left side of the green pattern piece. Something that is a little weird with this pattern is that it flares out too much at the hips on the back (green) pattern. This was before I knew how to use the Pattern Editor so I just cut it down after it was printed. I can make a T out of exactly 1 meter of fabric which includes shrinkage. I was just reading over at F-I... People ask me almost every day if I don't just love Project Runway, my answer is that I've never been able to sit through an entire episode. Disappointed looks usually follow. Kathleen has ranted up a storm about Project Runway and her thoughts mirror mine so completely that I wouldn't even try to explain it better myself. Read her posting here. Thank you for another great post. And thank you for mentioning the ethics of fabric and fiber production. It is really rare to see people do this in many online sewing communities. As always, so happy to see you! YAY, you're blogging again, thanks for coming back! And while I have not ordered knits, I have ordered from Thai Silks with no problems. I do like Thai Silks, good prices and service. No knits to speak of unless I'm missing something? They do offer some pre-made garments for dyeing and such that seem a very good value. Timely post, Brian. I was just this week toying with the idea of buying myself some silk jersey for winter. I have bought a lot of woven silks over the years (the good thing about living so close to Asia), but I don't really like the feel of them on my skin. Some people think I'm weird. Silk jersey, however, is one of my favourite things. I have several RTW garments and I love them. Thanks for the links. I'm off to watch your video now. I love silk jersey, but finding good stuff is hard, and good quality silk jersey prints are rare as hen's teeth. One of my best friends was a contestant on Project Runway. He's a successful designer, and he went on the show to build buzz for his own business. He decided at the outset he wasn't going to pander to the cameras, so he was eliminated around the middle of his season. Sorry so long to come back. No, Thai Silks don't have diddly for knits. Oh, I have never seen an episode of Project Runway. Even if I had a TV, I would pass. Smelly fabric?..... I suggest cutting out the fabric softener. I know it sounds counterproductive but I had a similar problem...and I used to add more softener to try and combat it. I now believe it to be the cause. Think about sportswear. When you buy it, it usually says something like "do not add fabric softener"...but we do it because we want it smelling nice and feeling soft. My polyester shirt of years ago always felt 'damp' to the touch. Another problem is the washing temperature. It usually has to be 30-40 degrees....not enough to remove bacteria. Instead of the softener, add a capful of anti-bacterial rinse to your softener compartment of the washing machine. Don't know if anti-bacterial rinse exists outside Germany. Try it...it might allow you to wear your t-shirts again. I don't use fabric softener or scented laundry products. Because we have VERY cold water here I always use the warm temp setting and dry on hot. I would assume drying on hot would kill most bacteria? They don't have anti-bacterial rinse here but it sounds awesome. I honestly think the problem is the fabric properties as I've come across lots of people who say the same thing. It's usually a polyester knit that has that somewhat rough or matte texture. Anyway, thanks for the suggestions! Hmmm....maybe try line drying. Could be that tumble drying has an effect.